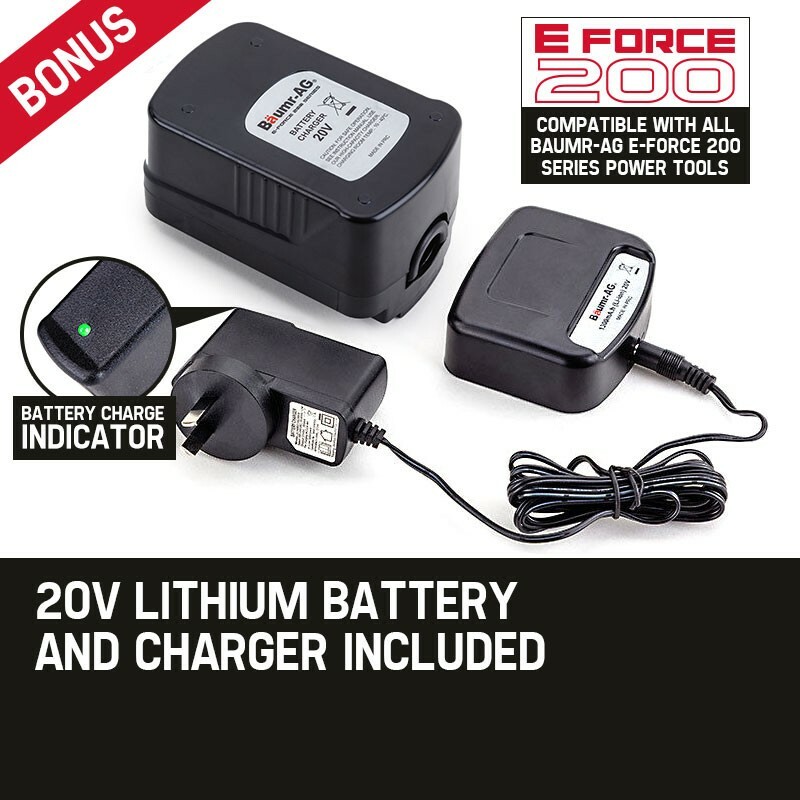 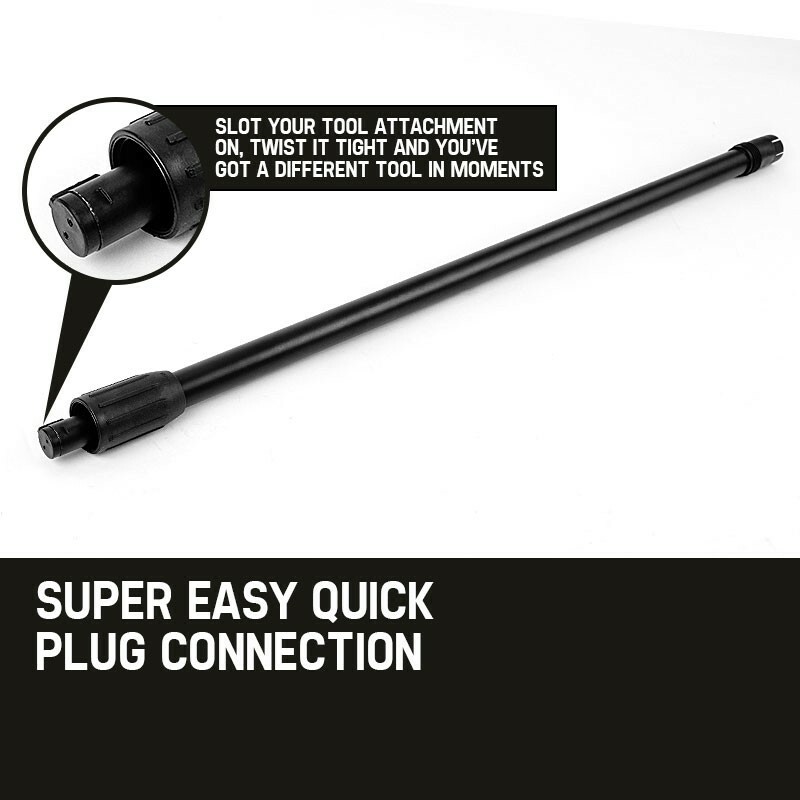 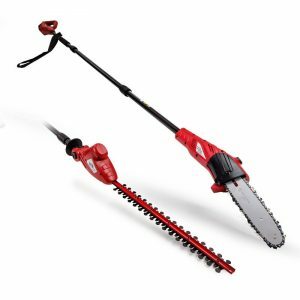 Baumr-AG continues to deliver innovative gardening tools with the NEW E-Force 200 series MC2 + MT2 Lithium Pole Tool Combo. 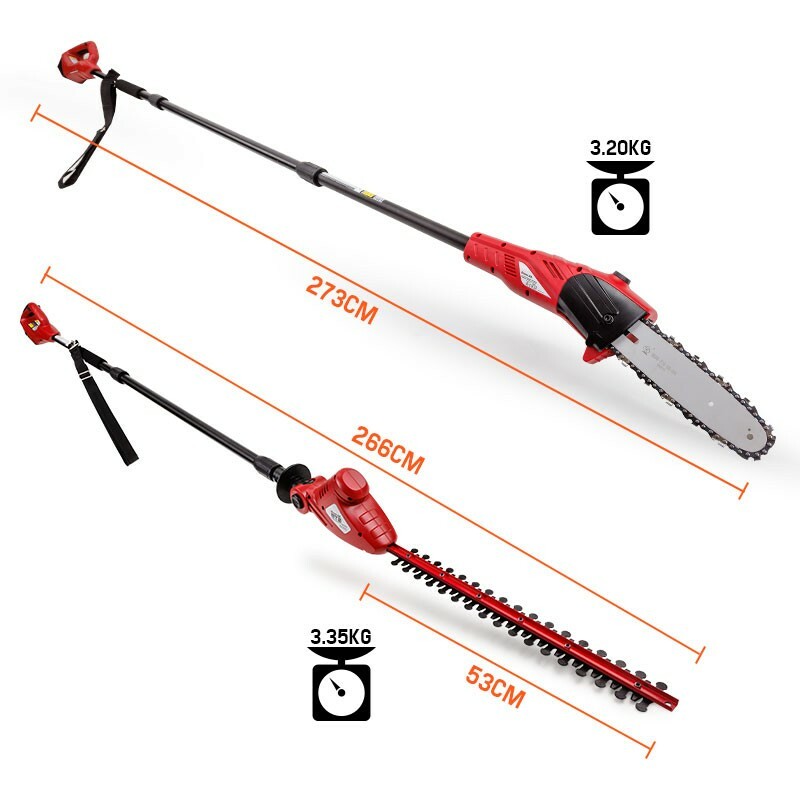 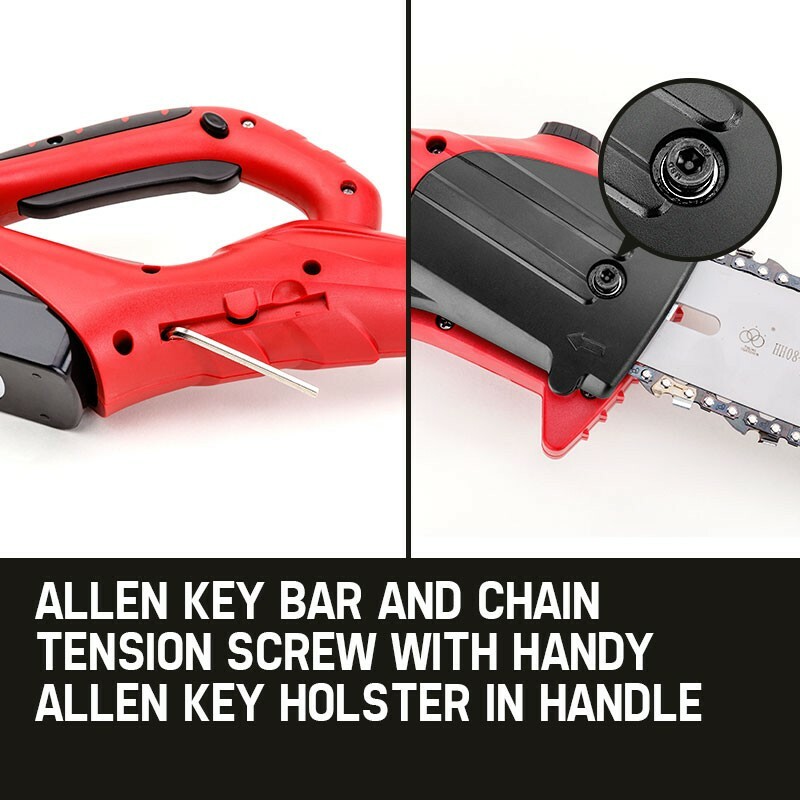 This value pack brings you the best of both worlds, utilizing a MC2 Chainsaw and MT2 Hedge Trimmer attachment within the same unit. 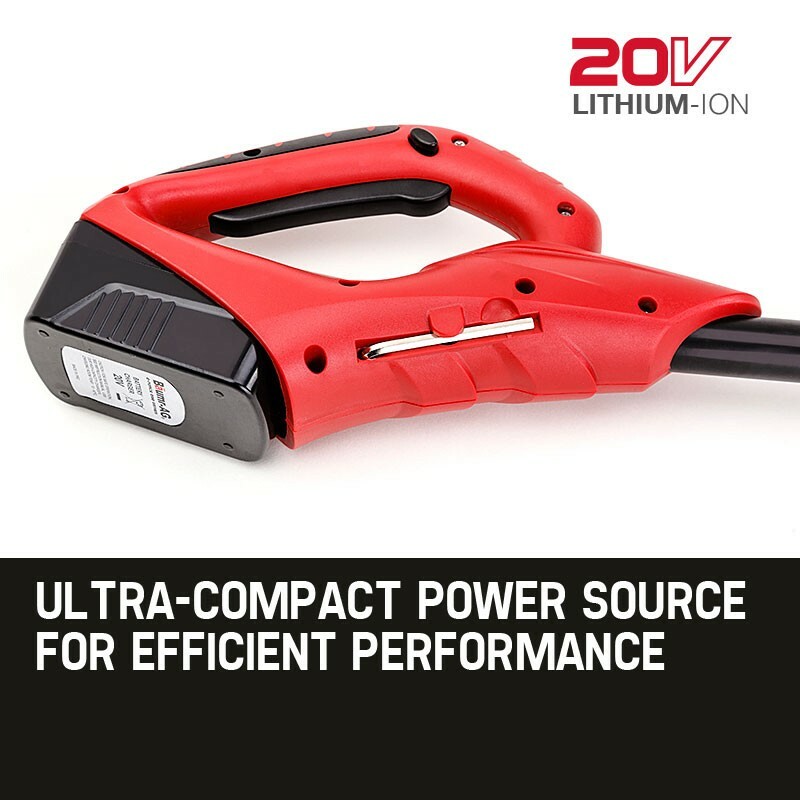 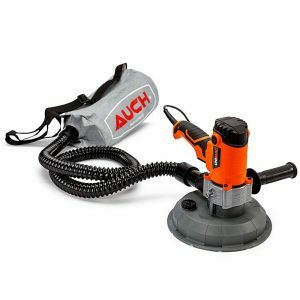 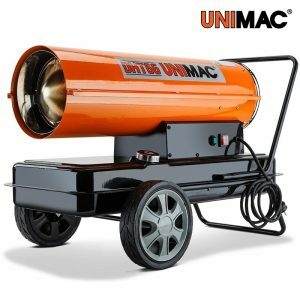 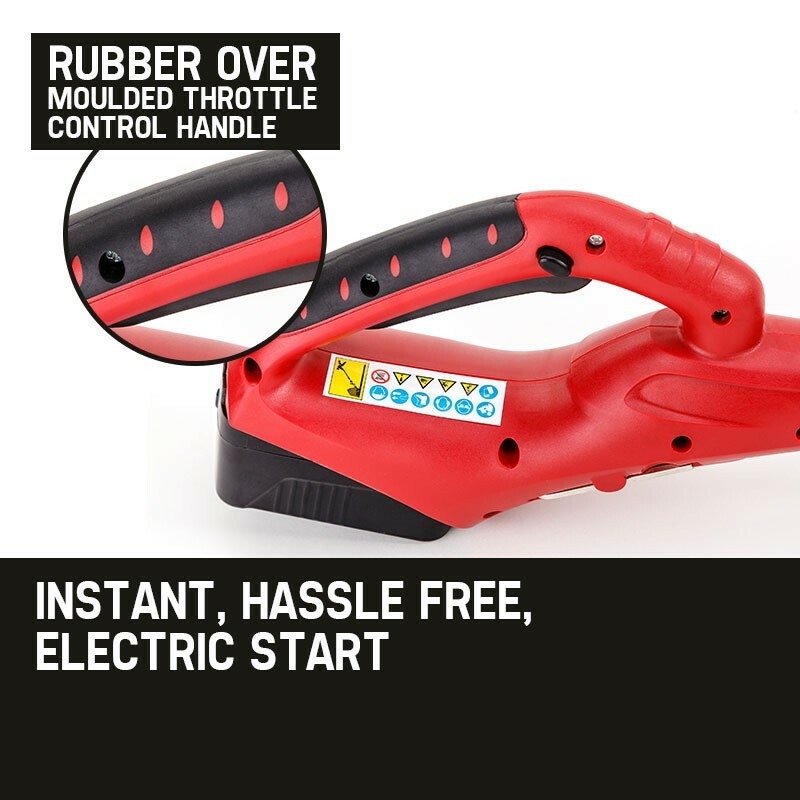 Powered by a 20V lithium-ion battery, this cordless tool brings the solution you need to tame the outdoors without the fumes. 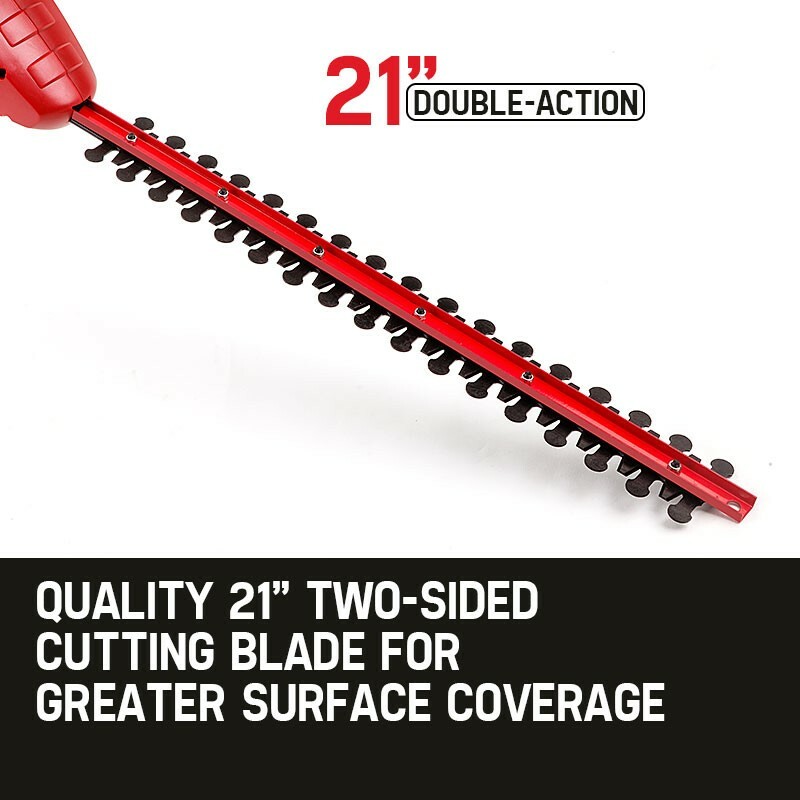 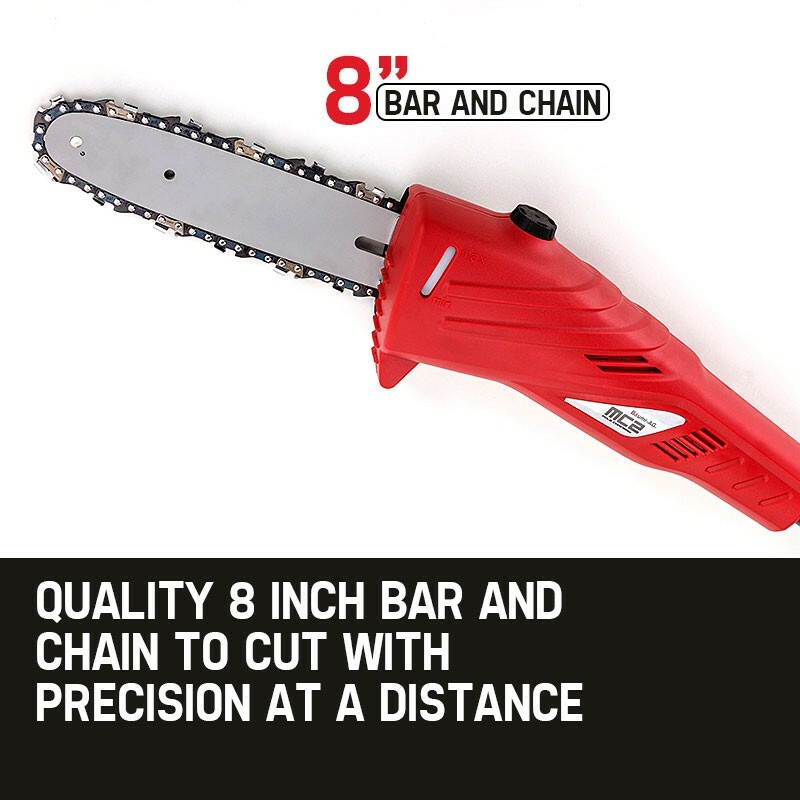 Baumr-AG has utilized a compact 8” chain and bar to provide unrestricted maneuverability, as well as a quality 21” double-action two-sided cutting blade so you can cut in tighter spaces with greater surface coverage when sculpting your garden. 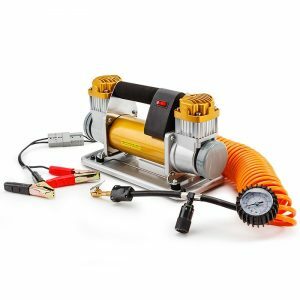 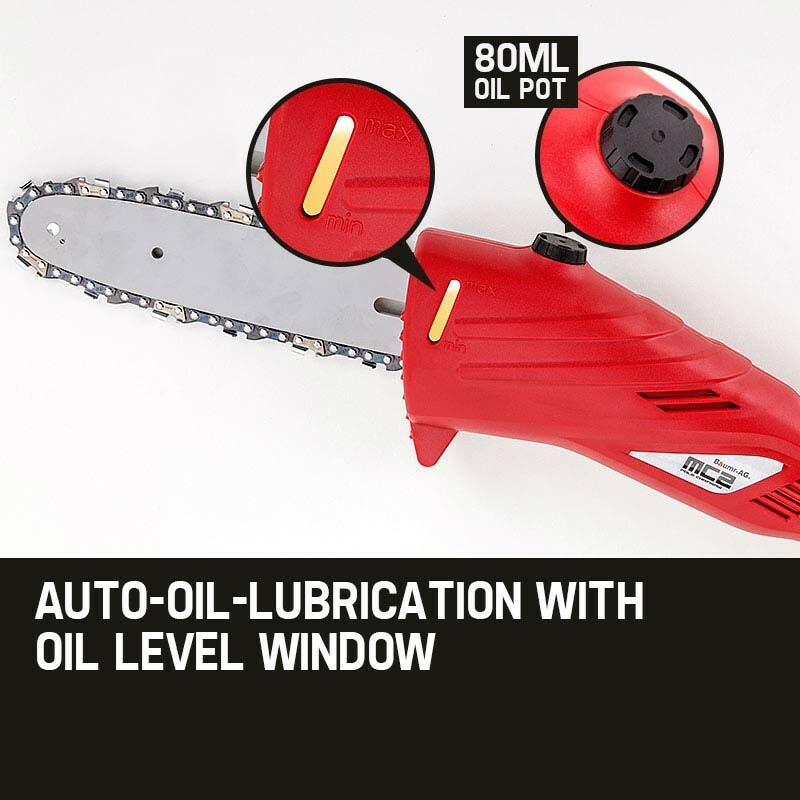 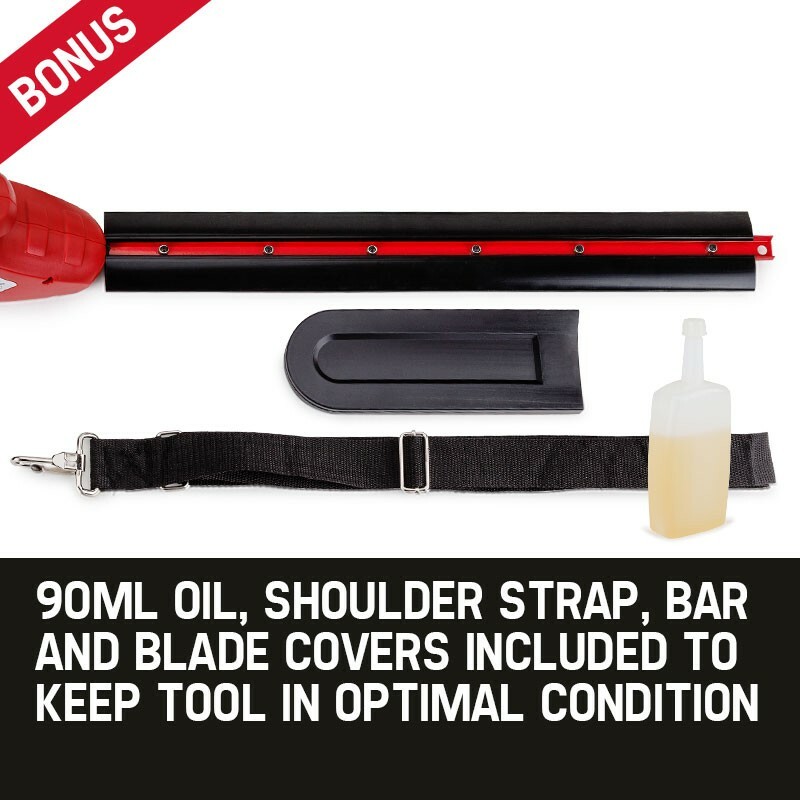 The chainsaw’s auto-oil-lubrication function prevents the saw running dry, and you can always monitor your levels thanks to the convenient oil level window positioned on the side of the unit. 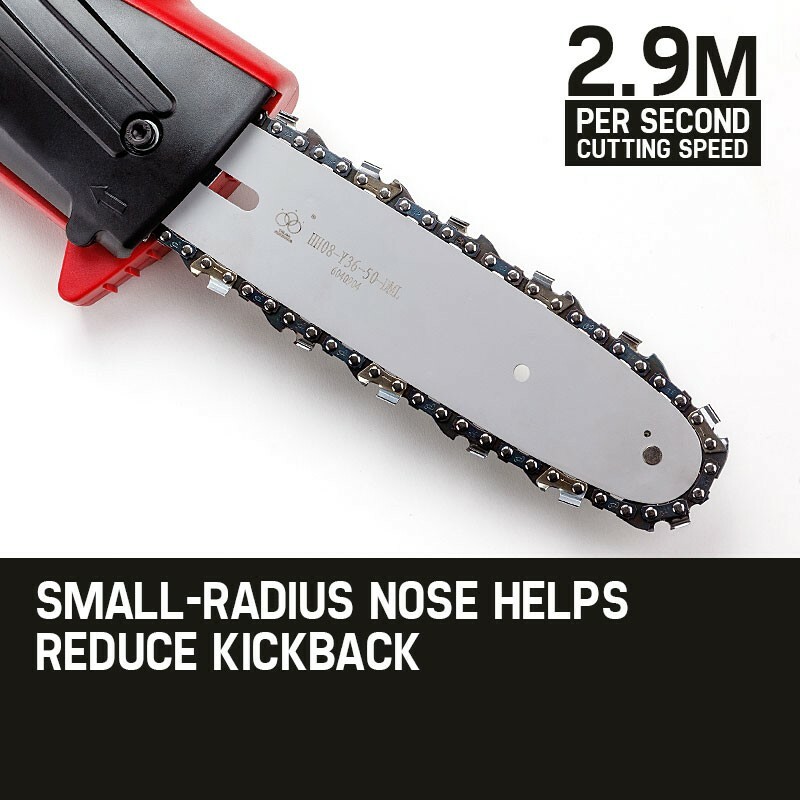 Furthermore, the trimmer blade’s swivel function offers 5 different angle settings, allowing you to trim with precision and get the results you desire.